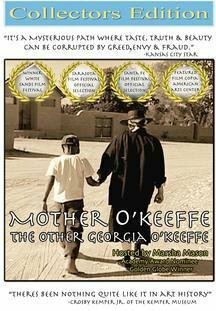 On Thursday, January 8 at 7 PM, REEL NEW MEXICO will present Mother O’Keeffe, an interesting and opening documentary about famed artist Georgia O’Keeffe. The film is narrated by former New Mexico resident, Marsha Mason and produced and directed by fellow El Dorado resident, Richard Startzman, who will be our guest.. This film is one hour long and was released in 2007 and offers a very different look at artist Georgia O’Keeffe. The documentary explores the relationship Georgia O’Keeffe had with a young boy whom she taught how to paint and continues to explore the controversy surrounding the identity of who really painted some of the most acclaimed watercolors of the 20th century. You are now able to order and bring food and drink from La Plancha and enjoy it in the Performance Space, offering a casual dinner and a movie type event. The $5 suggested donation/admission at the door will go for expenses and to bring in filmmakers for other screenings. 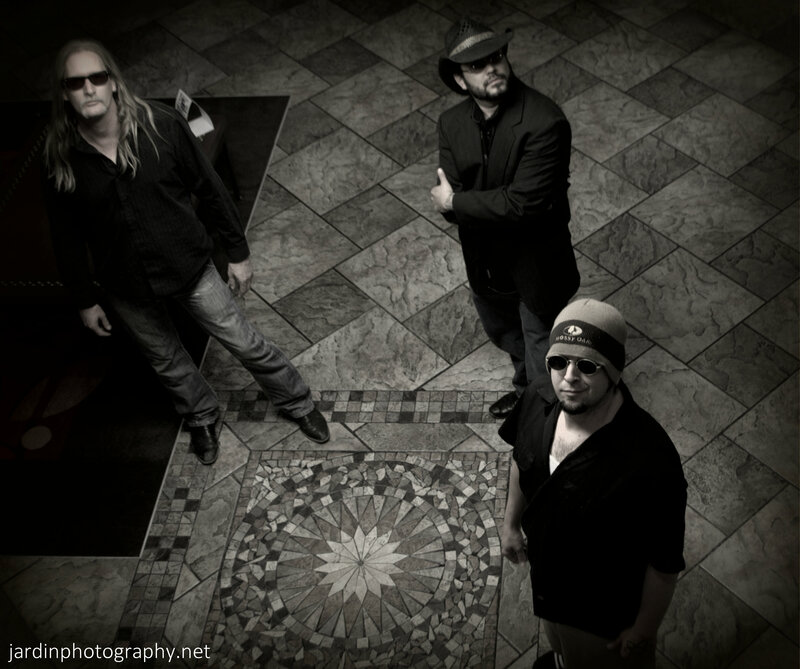 The Rudy Boy Experiment is back at The Performance Space on Friday, January 9 from 6:30 – 8:30 pm. Shake off the winter doldrums, or keep the party going, and join us for some great R&B! Get down, get dirty, and get home early. $10 suggested cover, but pay what you can. Everyone welcome! Facilitated audience discussion follows the film. Admission is free of charge. Donations are welcome. 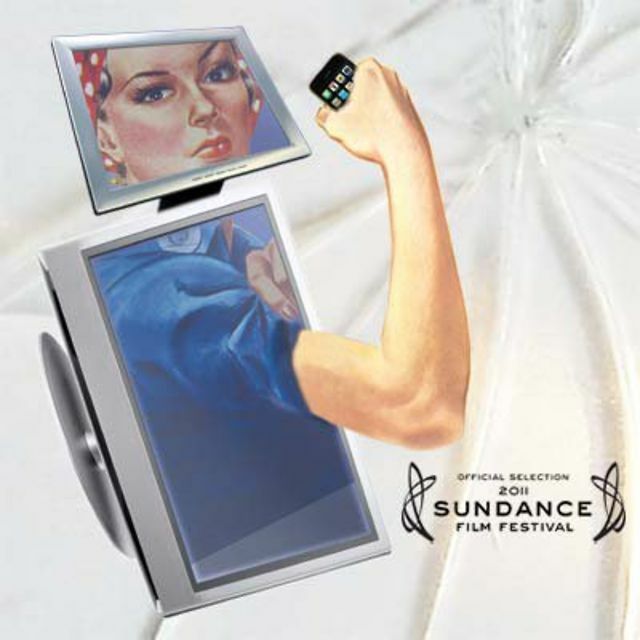 Written and directed by Jennifer Siebel Newsom, the documentary Miss Representation exposes how mainstream media contribute to the under-representation of women in positions of power and influence in America. The film challenges the media’s limited and often disparaging portrayals of women and girls, which make it difficult for women to achieve leadership positions and for the average woman to feel powerful herself. In a society where media is the most persuasive force shaping cultural norms, the collective message that our young women and men overwhelmingly receive is that a woman’s value and power lie in her youth, beauty, and sexuality, and not in her capacity as a leader. While women have made great strides in leadership over the past few decades, the United States is still 90th in the world for women. Please help us educate and make a difference for the next generation of women. Thursday, October 11 at 7 p.m. at The Performance SpaceA romantic evening: “Missing You” and “Phoenix” On Thursday, October 11, Reel New Mexico screens two films by Albuquerque filmmakers. 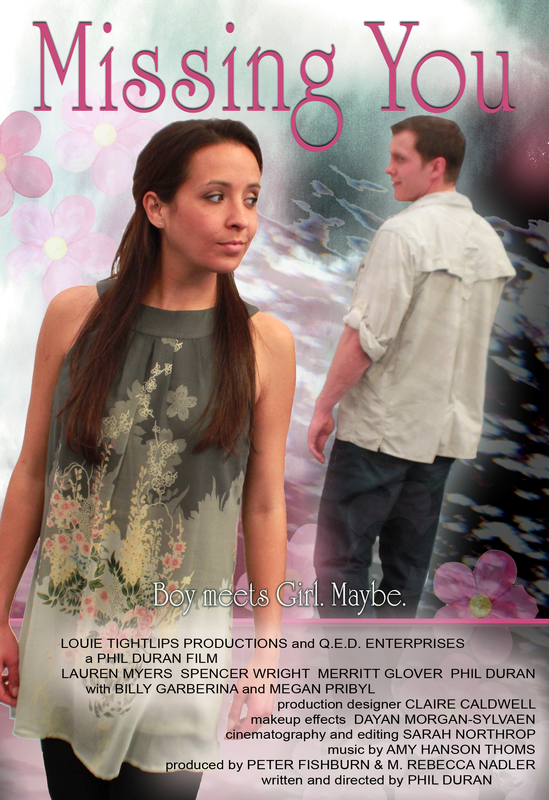 “Missing You,” a delightful feature-length romantic comedy, is by Phil Duran. “Phoenix,” the haunting coming-of-age short film that opens the program, is by Sarah Northrop, the editor of “Missing You.” The program starts at 7 p.m. at La Tienda Center in Eldorado.”Missing You” tells the charming story of Laura, who is beautiful, intelligent, fast approaching thirty, and has a plan for her life. However, Laura’s life plan requires that she find “the one,” and when the film opens that feat is still just a dream. Meanwhile, Rick, a handsome and successful young man about Laura’s age, struggles to understand women as he, too, searches for that special someone. Rick and Laura share similar interests, goals and desires, live in the same city, frequent the same establishments, even know some of the same people. Their paths cross time and again, but they keep missing one another. Will they ever meet? And if they do, what then? Phil Duran, writer and director of “Missing You,” retired after twenty years from a career in law enforcement and began making films. One of his earlier works, “The Righteous and the Wicked,” is currently distributed on DVD by Lionsgate. “Phoenix,” the short film that precedes “Missing You,” is a haunting tale about a boy coming of age in a post-apocalyptic world, who is torn between saving the life of his father and running away with a beautiful adventuress. It was forged during the Albuquerque 48-hour film project this July and marks the directorial debut of Sarah Northrop, who served as assistant director on “Missing You.” It was co-written by Northrop and Giuseppe Quinn, photographed by Craig Butler, and stars Phil Duran, Merritt Glover and Dylan Montoya. Please join us on Thursday, October 18 at 6:30 pm for a very special local authors’ event at The Performance Space. The presenters are members of a writing group at the Ken and Patty Adam Senior Center and are sharing their memories, stories, and heart. Linda Alessi writes a monthly column “In my Time” for THE COOPPA Guardian newspaper in Florida. She writes human interest articles. 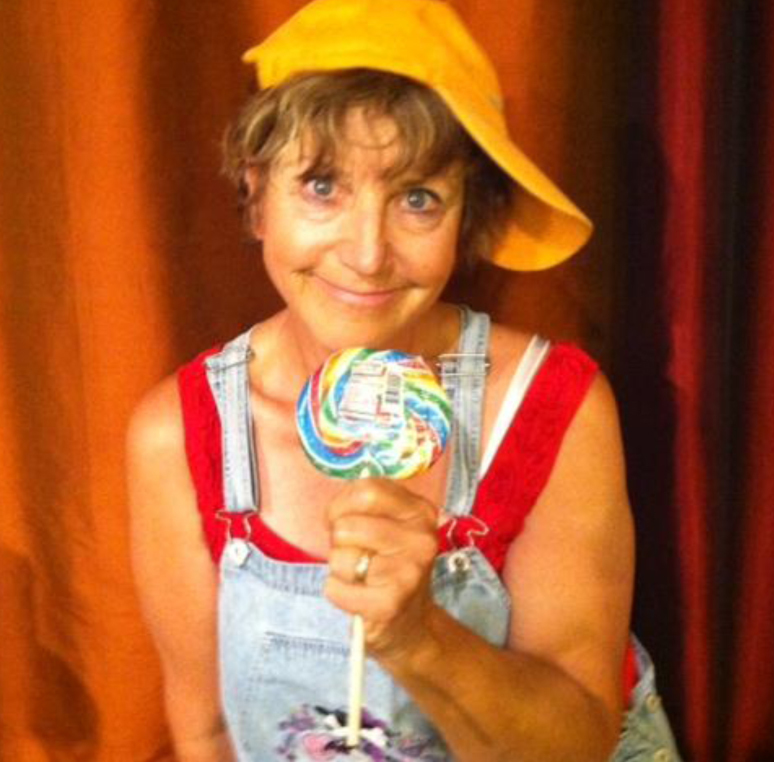 She published in 2007, Flowers for Momma, her first novel. 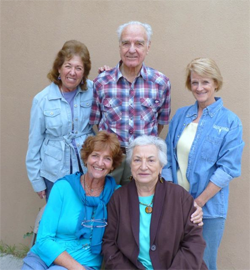 She is a member of two writing groups and continues to expand her horizons. For a very long time a weaver of patterns has been busy creating beautiful tapestries out of planetary orbits and molecular interstices. This evening we will peer through a geometers looking-glass into these micro/macro worlds, whose harmonies are guided by Fibonacci of Pisa, and spun into delicate DNA fibers that make up the warp and weft of our proportional being. 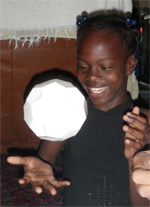 Megalithic stone workers carve polyhedra for Plato, who inscribes them in the Timaeus, to be assembled by our children someday. Archimedes kicks his faceted soccer ball toward history’s net and right into the hands of a physicist goalie who shouts ‘Buckminsterfullerene’! Kepler is tangling tetrahedra together, Escher is deconstructing the dodecahedron, and Omar Yaghi creates metal-organic polyhedral frameworks to store hydrogen gas that may someday power our cars. This muse of geometry can be heard in the tiny concert of atoms, the vasty whorls of galaxies and in the core of an applestar. “El Salon Mexico” is a charming animated adventure set to the music of Aaron Copland. A boy, his burro and his rooster sneak away from home one night to see their first fiesta, never imagining the adventures they will have. The film, funded with a $20,000 New Mexico New Visions grant, was made by Paul Glickman, an Oscar-winning animator, and Tamarind King, a talented young graphic artist and animator who began work on it when she was still in high school. It made the first round in the “animated short” category for an Oscar in 2011 and has won numerous festival awards, including “Best Animation” in the Rome (Georgia) International Film Festival and “Best Animation Short for kids 8-12” in the Kids First Film Festival. Santa Fe filmmaker Michael Zeilik, executive producer of “El Salon Mexico,” will discuss the film. “The Birds of the Bolsa Chica” was made by Santa Fe filmmaker Hal Ralston, initially so his wife, a teacher, might have something to show her students before a field trip to the Bolsa Chica wetlands. The State of California purchased 880 acres of the wetlands in 1997 for an ecological preserve and restoration was completed in 2004. Ralston made the film to celebrate the birds, who he says are the true owners of the Bolsa Chica. The music soundtrack was added to focus the children’s attention on the actions of the birds. 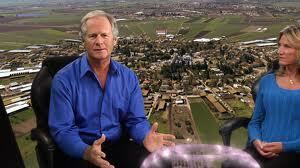 Hal Ralston will discuss his film. “Community Garden: New Mexico/South Africa” was made by Santa Fe filmmaker Debra Denker to explore what the El Dorado School Community Garden in the community of Eldorado just south of Santa Fe and another community garden in the poor, rural community of Acornhook in South Africa have in common. A lot, she discovered. Both are part of a worldwide community garden movement which, in addition to encouraging production of fresh, nutritious food, benefits their local communities and underscores the importance of water to sustainable food cultivation. 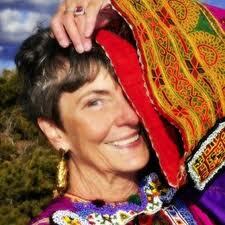 Debra Denker will discuss her film with the Reel New Mexico audience. 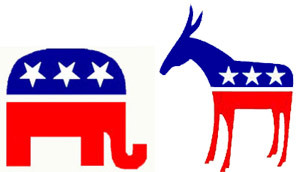 Are you ready for 12-21-12? Call Carol at 5o5 660 9311 or Debbie at 505 577 6297 to purchase your tickets today! 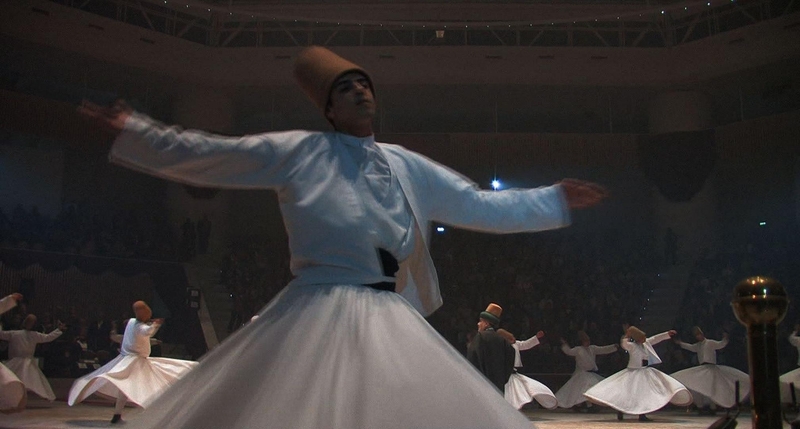 On Thursday, July 12, REEL NEW MEXICO, a monthly series showcasing independent films with a New Mexico connection, will present “RUMI RETURNING: The Triumph of Divine Passion” at 7 p.m. at The Performance Space in La Tienda Center in Eldorado. Producer-director Kell Kearns and producer Cynthia Lukas will be present to discuss their film. The acclaimed documentary tells the life story of the great 13th Century Persian poet and Sufi sage, who is today the best-selling poet in the U.S. and numerous other countries throughout the world. It drew overflow crowds at the Santa Fe and Sun Valley film festivals and elsewhere and has been shown on more than 330 PBS stations. The film was shot in Turkey, in locations that were part of the poet’s everyday life. Onscreen commentators include Coleman Barks, whose translations of Rumi’s poetry are largely responsible for the poet’s contemporary popularity in the West, as well as Akar Ahmed, Professor of Islamic Studies at American University, and Rumi expert and mystical scholar Andrew Harvey. Reel New Mexico was formed early in 2012 to fill a need for an ongoing, noncompetitive venue for New Mexico filmmakers and films with a New Mexico connection. Unlike film festivals, Reel New Mexico has no entry fee and gives no awards. Proceeds from the $5 suggested at the door go to meet expenses and to participating filmmakers for ongoing projects. If you enjoyed the Thrive movie and are interested in the greater concepts of the movement itself – you will want to attend this event. The Gambles will appear live in person. We have spoken to Foster several times and know you will find them completely delightful and real. Foster and Kimberly Gamble will update us on events since the movie launch of 11-11-11as well as the solutions process on the community and individual level. We’ll hear exciting updates about the global response to the film followed by Q&A from the audience. Suggested ticket price at the door is $20.00. CASH OR CHECK ONLY. No credit or debit cards. 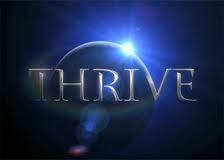 Checks payable to: Thrive Movie LLC. Screening of the movie, Thrive: What on earth will it take? The screening will be followed by a discussion with Foster and Kimberly Gamble. The response to Kimberly and Foster Gambles appearance scheduled for Thursday April 19th, has been so amazing that we asked the Gambles if they would be willing to stay for another night. The Friday night program will be different. It includes a showing of the Thrive film followed by Question and Answer moderated by the Gambles. How great to see the film and then speak with the producers while questions are fresh on your mind. Admission is by donation. All proceeds will go to the development of future energy projects through the Thrive movement. Payment will be check or cash only. Because seating is limited, please arrive early. The film, produced by Jilann Spitzmiller and written and directed by Hank Rogerson, bothSanta Feresidents, is a documentary feature that follows a year-long rehearsal and presentation of Shakespeare’s “The Tempest” by inmates of aKentuckyprison. Hailed as “tremendously moving,” the film tells an extraordinary story about the creative process and the power of art to heal. It was a Sundance official selection and has won awards, including “Best in Show” and “Best Documentary” in ten additional festivals. “By the end of this film, you couldn’t imagine Shakespeare performed anywhere else,” wrote the TV Guide reviewer. As an important part of the Reel New Mexico Independent Film Series, filmmakers representing films shown will discuss and answer questions about their work following the screenings. Jillian Spitzmiller and/or Hank Rogerson will be on hand to discuss the making of “Shakespeare Behind Bars.” The two founded Philomath Films in 1992 and have been working together ever since.